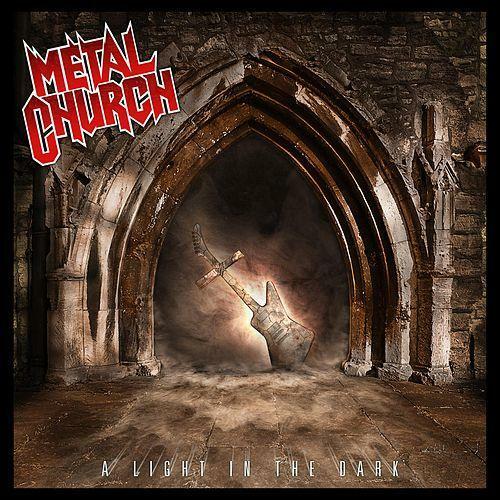 Metal Church - "A Light In The Dark"
The legend is back! On june 16th 2006 Metal Church release their new album ´A light in the dark´ and continue friskily on their over 20 years long band history with it. After enthusing old and new fans with their last longplayer ´Weight of the world´ and a lot of terrific live gigs last year the new lineup of the band proves on its brand new album, that Metal Church belong to the best which American Metal has to offer. Fresh but nevertheless true to their way, the metal popes bring their latest work not only for religious people with ten fabulous songs and a special bonus – a reissue of the classic ´Watch the children pray´, which is a tribute to their singer David Wayne, who died in may 2005 – to the public yet this summer. Vanderhoof, who attended as the sound engineer and producer to the album, promised a work that includes every important trademark of typical Metal Church-songs.